We had a long weekend as Gandhi's birthday fell on Tuesday, so we had both Monday and Tuesday off. 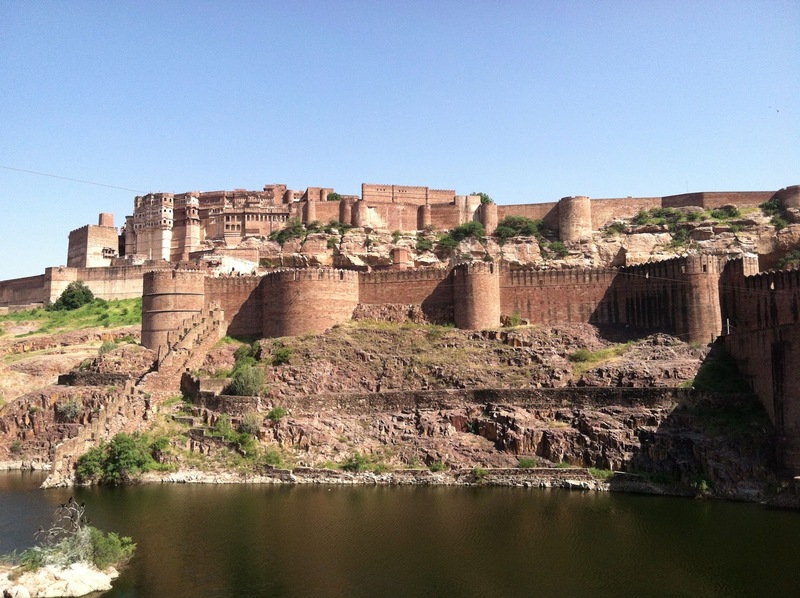 We took that opportunity for our first escape from "the Maximum City" of Mumbai and flew to Jodhpur in Rajasthan. Nancy had been fighting a bad cough for a week and we were looking forward to seeing a different part of India as well as taking a break from big city life. One of our colleagues had suggested a quaint hotel to us as a great place to stay and we were excited about a new adventure. The flight went well, and we chatted with the three other friends from ASB who were also going to Jodhpur for the long weekend, and agreed we would try to meet up for dinner one night, as our hotel was said to have a nice rooftop restaurant with a good view of the fort ( the fort is great - more about that later). We were met at the airport by the driver from our hotel, and we bundled ourselves into the car along with a South African couple who spoke glowingly of the hotel, having stayed there several times in the last year. We arrived at the hotel and felt like we were thrust into the movie "The Best Exotic Marigold Hotel". (If you haven't seen it yet, I would strongly recommend it!). 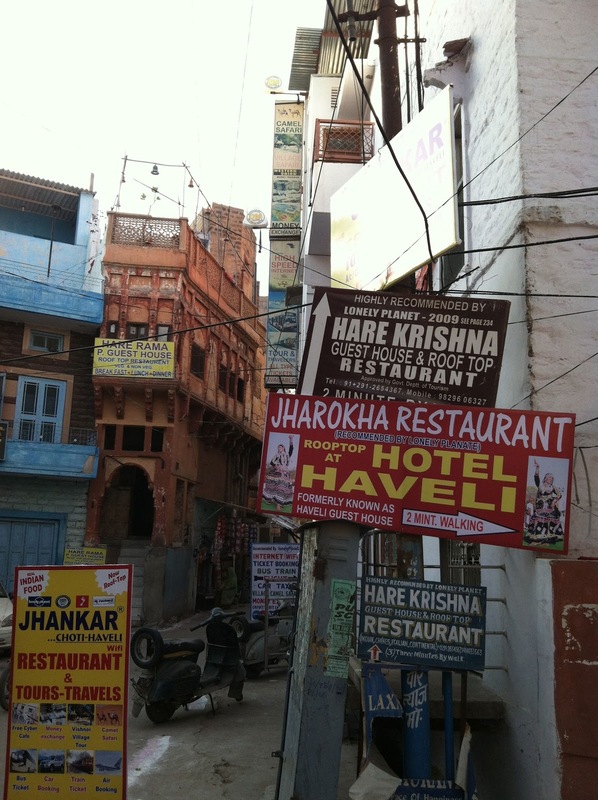 The hotel is located in an old "Haveli" - or private mansion, often owned by a nobleman for stays in town to visit court. 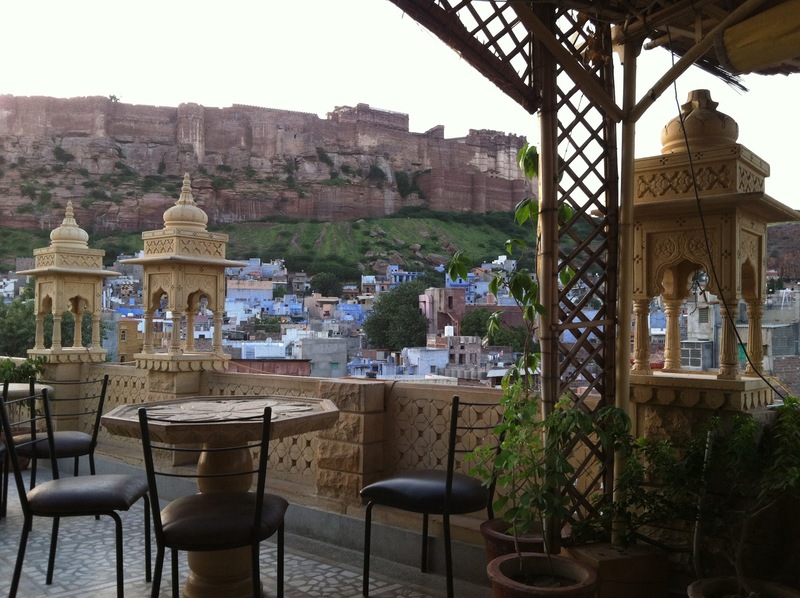 After a day of waking around the narrow alleys of the old city, watching carefully where we stepped, and doing a little shopping, we went back to the hotel and enjoyed a nice dinner at the rooftop restaurant in the hotel. Yes, the view was great, but the prospect of a good night's rest for Nancy was threatened not only by her weariness and the hard Indian bed, but by the realization that it was the last night of the Ganesha festival and the drums would be going by our window. The combination of all those factors was the last straw, and Nancy called the cavalry in for assistance. They soon arrived in the form of a couple of our ASB friends who took me over to see there nice 5 star hotel just around the corner. After one night in the original hotel, we ended up moving to the new one, where we were much better taken care of, relaxing in a quiet garden with green grass, near a pool and with a luxurious bed that was much more restful. Good move. 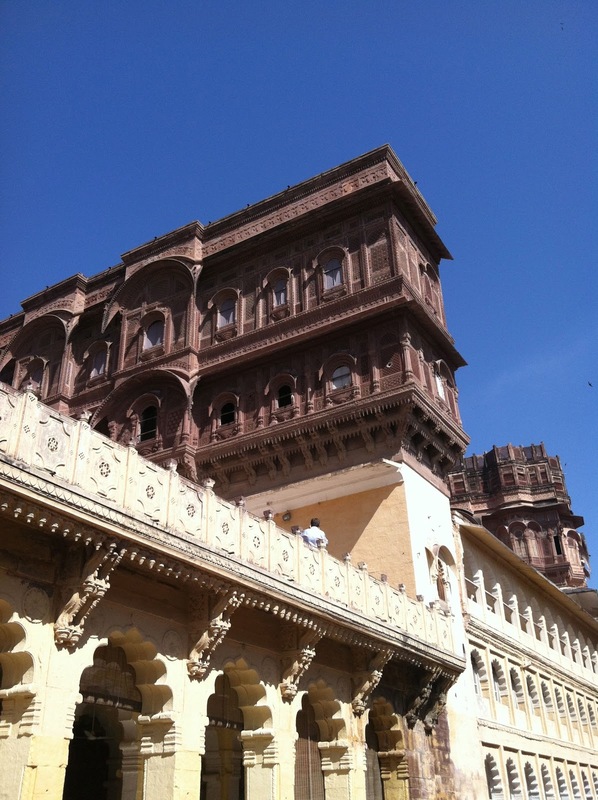 Mehrangarh Fort is great. We spent a morning up there, listening to an informative and entertaining audio tour that guided us through the museum while giving us historical and personal background. We were struck not only by the beauty and size of the place, but also how similar were the feudal societies around the world. The rulers of this land depended on support from their nobles and retainers and in the final analysis on the hard working peasants of the land in the same way that was true all over Europe and one could easily imagine this fort, decorated slightly differently, located in Germany or France or Ireland. Life was good if you were one of the privileged few (noble, upper class male), but hard for most folks. Inside the fort, one of the palace areas. I was also able to wander some more through the back streets of the city, known as both the sun city and the blue city, while Nancy spent some time resting and trying to recover from her sickness.